To start, turn on your waffle maker. In a small bowl combine plant-milk and apple cider vinegar. Let sit for 5 minutes. Grind your oats in a blender or food processor until flour form. Then in a large bowl combine the oat flour, baking powder, and cinnamon. In a medium bowl or mixer mash the bananas and then combine molasses, maple syrup, plant-milk/apple cider vinegar mixture, nut butter, and vanilla extract. Mix until smooth. Then combine the dry and wet ingredients and mix until batter forms. The cooking time for waffle makers will differ, so follow directions as applicable. Optional:For fried bananas, remove the peels and slice about ½ inch thick. Heat a skillet over low/medium heat and add oil or vegan butter, maple syrup, cinnamon, and salt. Stir to combine all ingredients in the skillet. Add the banana slices to the skillet and fry for 2-3 minutes on each side until golden brown, making sure they don’t burn. 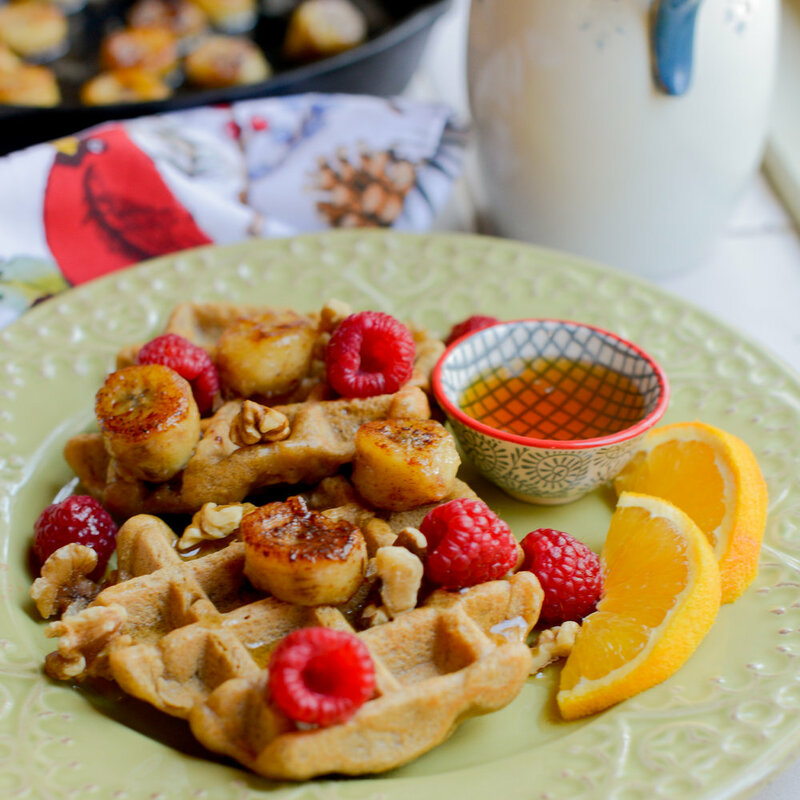 To serve, stack waffles on a plate and top with bananas and/or any other toppings you desire!